Keep an eye on your online store’s performance with our Control Panel. 300+ reports give you complete insight to every aspect of your business. 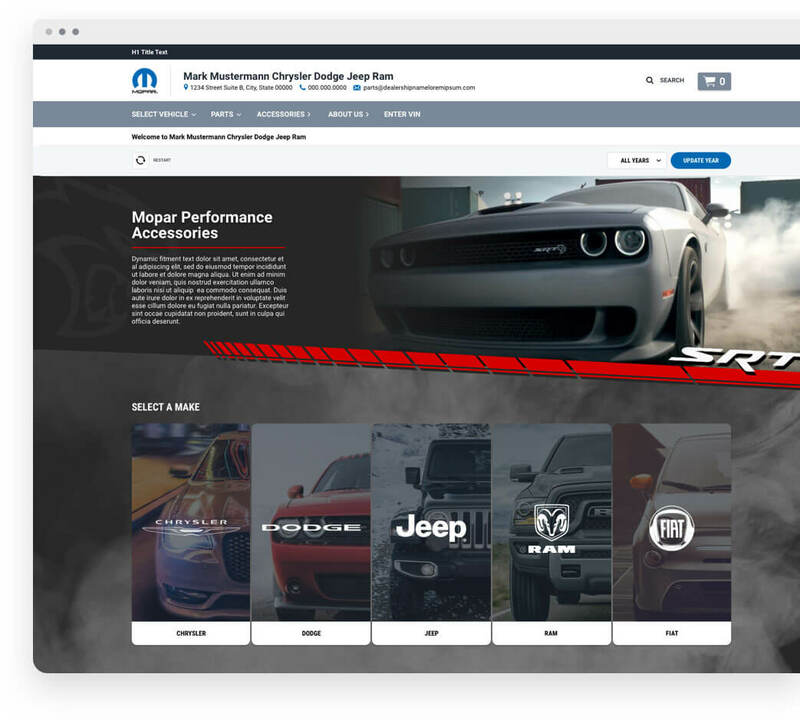 Give your owners the full catalog of genuine MOPAR parts and accessories at their fingertips. Timely updates help keep your online store stocked with the latest available products. Why shouldn't e-commerce be effective, worry-free, and easy-to-use? At SimplePart, we understand that online parts and accessories sales are only one aspect of a successful business. Our partnership with FCA means you're getting an unmatched advantage in the marketplace. 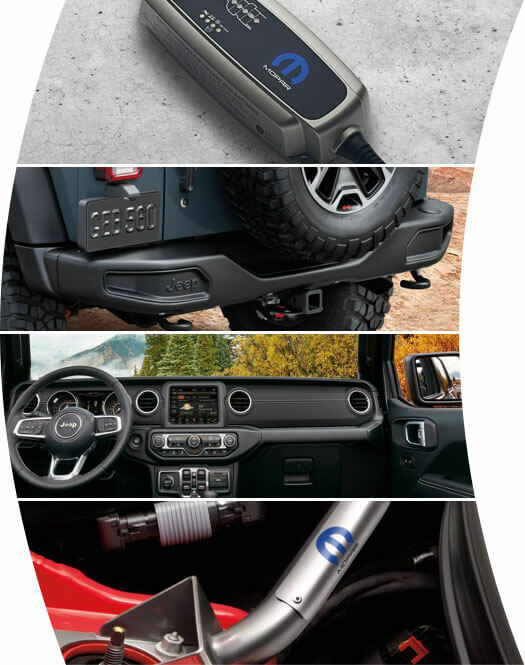 Some quote from a FCA dealer would be really swell, you know." Right-fit packages to suit your needs and goals mean you'll only pay for what you use. Month-to-month contracts give you the flexibility to upgrade as you decide, with no long-term commitments. It's all up to you. 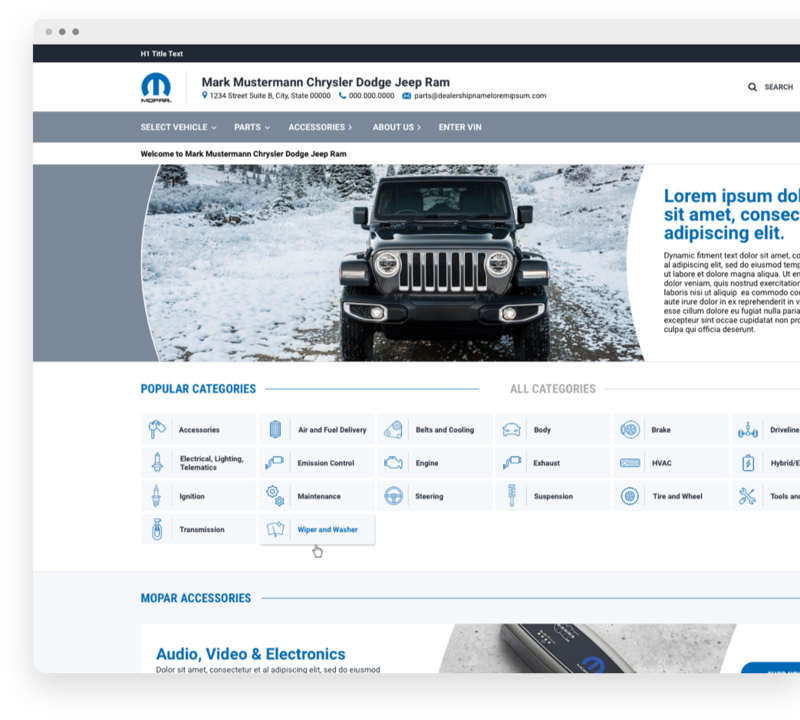 What if you could combine a comprehensive, user-friendly OEM catalog with an intuitive shopping experience? Our BASE package lets you do just that with a brand-compliant website, secure e-commerce and real-time reporting tools. Ensure visibility through search engine results to make the most of your Base website. Add local directory listings and search engine marketing to reach your closest owners. Our PRO package puts proven methods and aggressive strategy to use in reaching your goals. 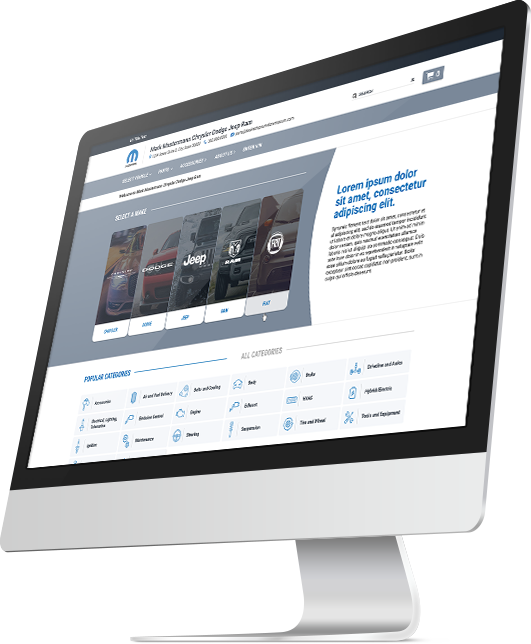 With no long-term obligations and our full suite of services, the PRO package offers unequivocal e-commerce performance for the engaged dealer. Sign up for a demo with our sales team. 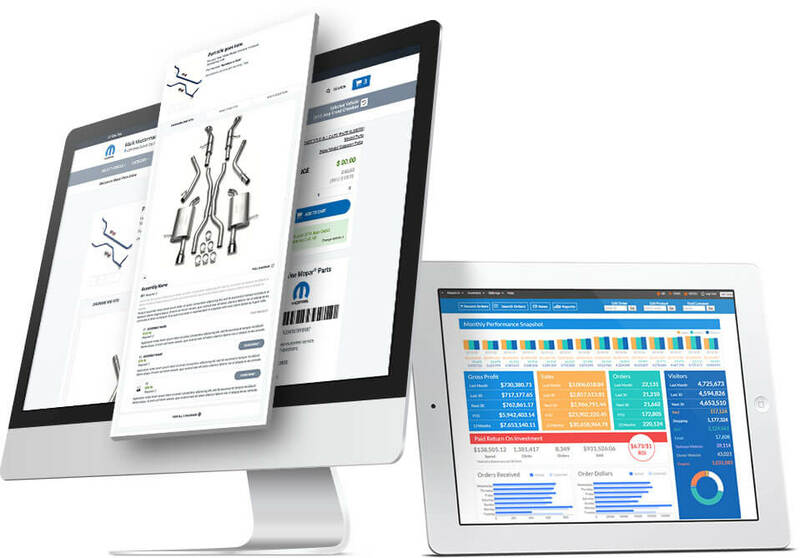 We'll take you through everything you can expect as a parts manager selling online, and answer any questions you may have about our solutions. 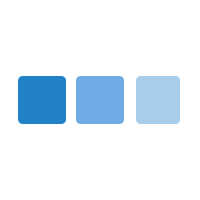 To schedule a demo at your convenience, call us at (888) 843-0425 or click the button below.